Artist's rendition of forthcoming D & D Bistro. We're not sure whether this counts as street food or not but a San Francisco residents wants to convert his garage into a restaurant. 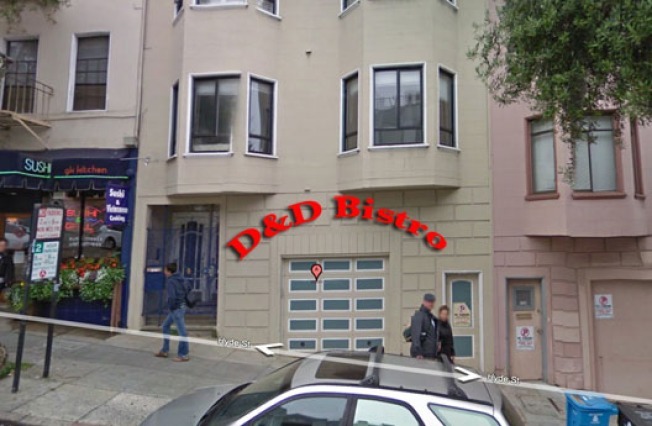 A permit application has been filed to turn a residential garage at 2735 Hyde (between North Point and Beach St.) into a 625-square-foot eatery called D and D Bistro. That puts it just down the block from Gary Danko although we doubt there will be much competition there. A few other converted-garage restaurants and businesses live on the same block, but we doubt the upstairs tenants are too happy about losing their precious parking so close to the main tourist drag.